I can't believe that Christmas is over already. It is hands down my favourite holiday. I spend so much time thinking about it, planning for it, spending money for it, and then it seems like it is over in a flash. 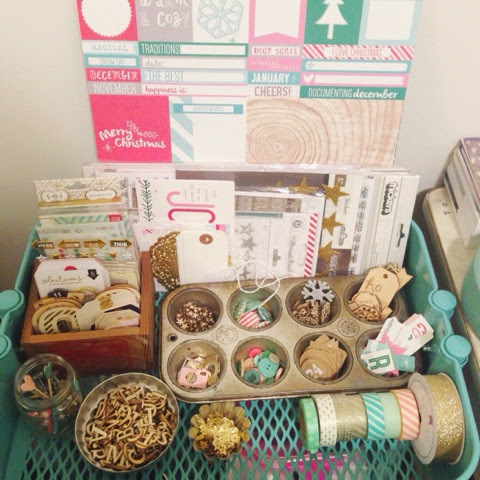 Thanks to this amazing project though, I am able to keep Christmas with me for a little bit longer. 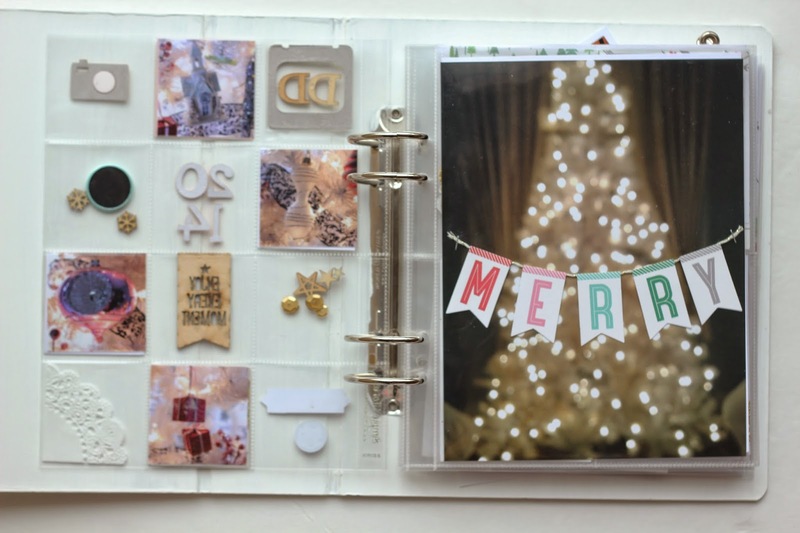 I used the November hip kit club kit and embellishment kit for my December Documented album this year. I absolutely loved the colours in the kit. All of my favourites for Christmas. 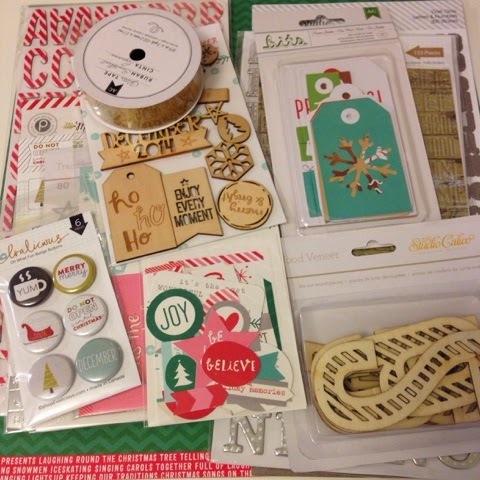 I also used some items from Hip Kit's December Documented kit and some items from my stash. For the album, I used a plain chipboard Handbook that I covered in 2 coats of Gesso and 3 coats of white acrylic paint. I then covered it with a layer of Mister Huey's Shine, however it got a little splotchy. 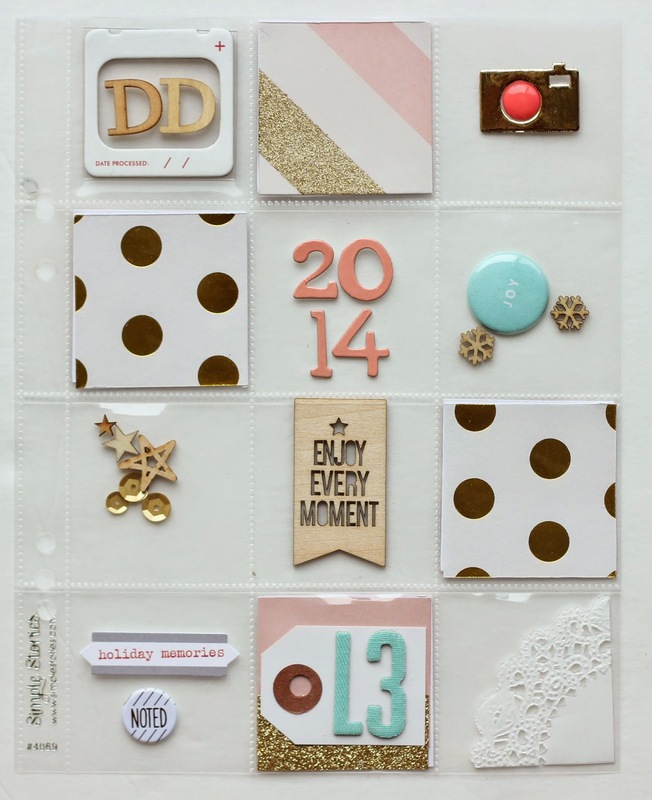 For the front, I just glued the "December 2014" wood veneer from Elle's Studio. 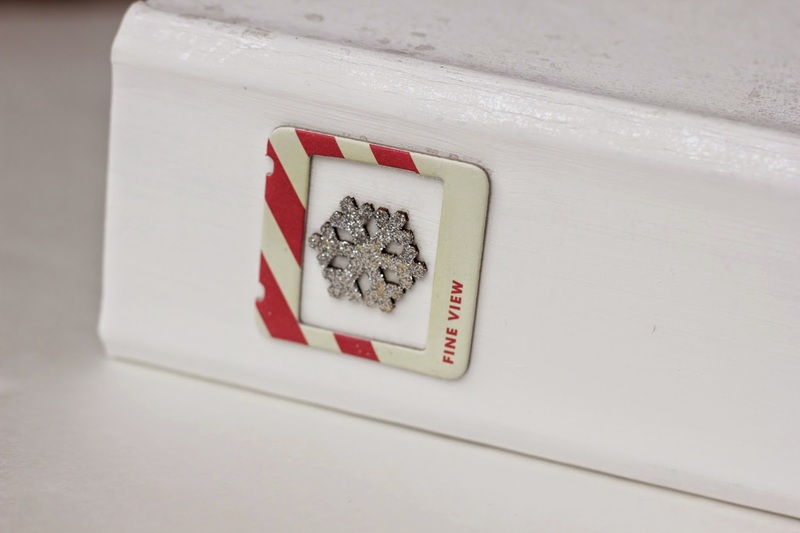 To the spine, I adhered a frame and a wood veneer snowflake that I added silver glitter embossing powder. 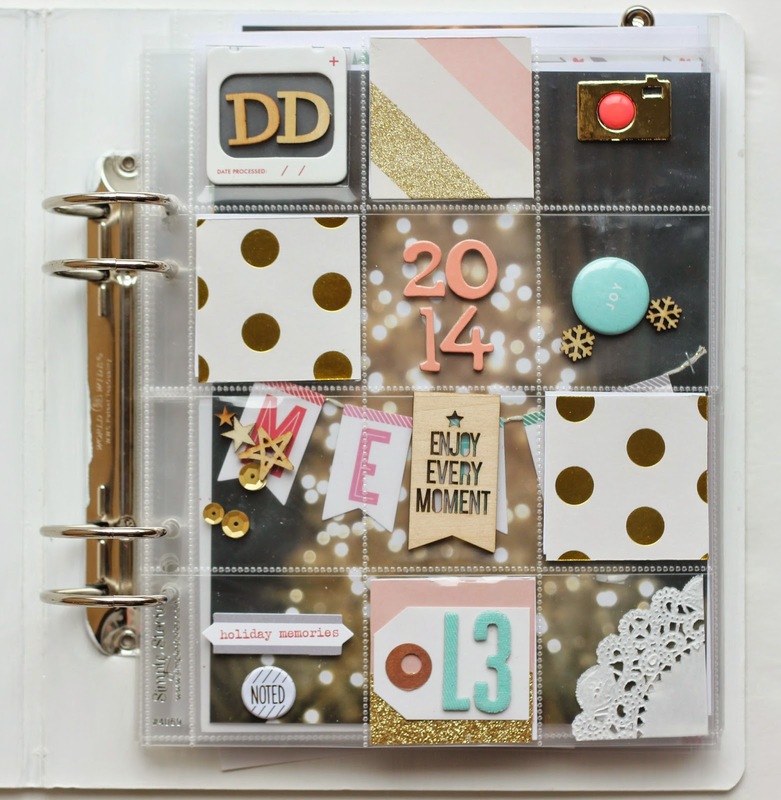 For the cover page, I used a page protector with 12 2x2 spots. I just added little bits and pieces to each pocket. I just love the see through element to most of them. And this is what it looks like outside of the album. Since we actually decorated our tree in November, I added some photos of my favourite ornaments to the back of the page. I used a 6x8 photo of one of our trees on the next page and strung the letters spelling 'merry' like a garland across the photo. 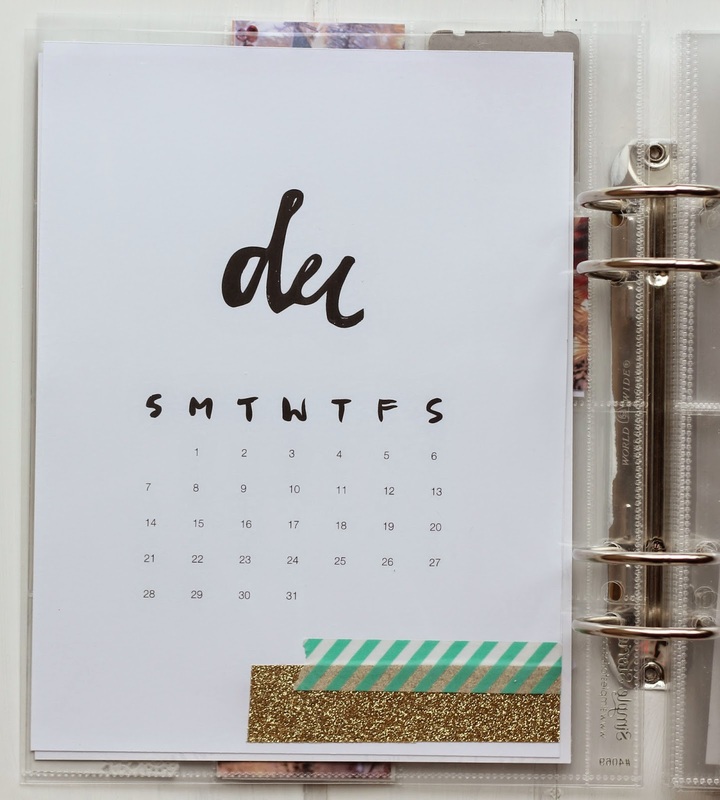 On the back of the photo, I printed this December calendar at 6x8 and just layered that amazing gold glitter tape with some washi at the bottom. Right now I have up to Day 12 done and am really hoping to have everything done by the end of January before I lose my Christmas steam. 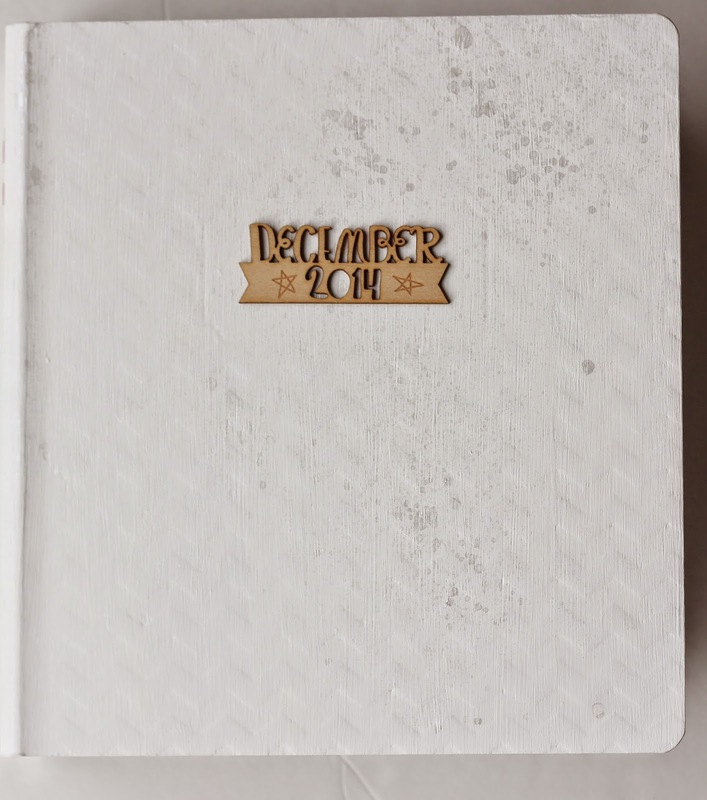 Have you done a December album? If so, please link your album in the comments, I would love to check them out!